Buy Quality Marine Batteries from Exalto Emirates. Ideal universal battery. Excellent starter function. Perfect upgrade for wet lead acid batteries. 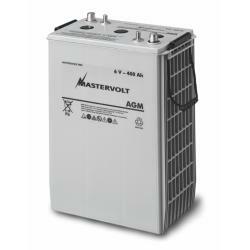 Same initial power surge in an AGM 12/90 Ah as in&nbsp;a 180 Ah wet lead-acid battery. Glass-fiber technology ensures low internal&nbsp;resistance. Use of thicker plates allows deep discharging. Also for cyclic use. Two year warranty. * C20 = battery capacity at a discharge time of 20 hours, till 1.75 V per cell. Ideal solution for cyclic applications,&nbsp;such as electric propulsion,&nbsp;wheelchairs, golf carts, etc. Easy configuration of 12/24/48 V&nbsp;battery terminals, with high capacity. 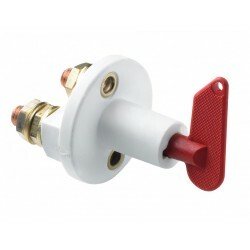 Double pole for easy installation. No gas formation with normal use. Two-year warranty. 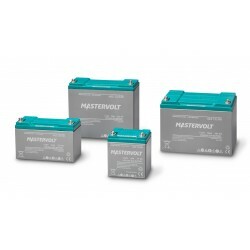 Perfect service battery for medium and large 12 V and 24 V systems. Extremely long lifespan. No gas formation with normal use. Fast recharge, high charge current possible. For intensive cycle use with a high number of charge/discharge cycles. Very low self discharge. Two-year warranty. Long lifespan. Many charging and discharging cycles. Charges quickly. Extremely sustainable battery for large installations. Robust build for longer lifespan. Deep discharging without problems. Can be installed horizontally or vertically. Seven-year warranty (pro rata). 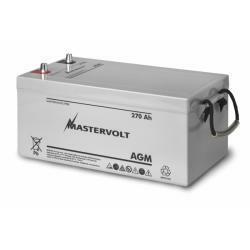 Having perfected the legendary Lithium Ion battery in a few key areas, Mastervolt has&nbsp;developed an unrivalled 2500 or 5000 Wh powerhouse. The MLI Ultra has an ultra-long lifespan that offers over 2000 cycles at 80% DOD; a&nbsp;potential recharge time of less than an hour; active cell balancing for efficient and safe use&nbsp;of the Li-ion cells; and integrated battery monitoring to further simplify your system. What&rsquo;s more, the Ultra communicates directly with your Mastervolt battery charger via&nbsp;MasterBus to ensure the best possible recharging. Add in the fact that it takes up 70% less&nbsp;space and weight compared to lead acid batteries, and you&rsquo;ll see why this battery is the bestchoice. Highly advanced technology. Multifunctional battery of 5 kWh. Saves up to 70% in space. Saves up to 70% in weight. Three times the lifespan of traditional batteries (2000 cycles). Ultra-fast charging and discharging. High efficiency. 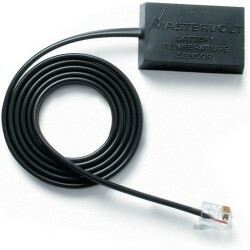 MasterBus communication with every Mastervolt battery charger. Integrated Battery Management System (BMS). Common-rail technology optimizes series connection. Safest Lithium Ion technology available. Integrated battery monitoring. Two year warranty. The AGM (Absorbed Glass Mat) marine battery series. 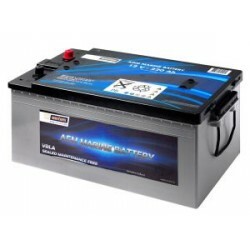 A sealed VRLA maintenance free battery which does not contain any free liquid acid. The&nbsp;acid in the battery is absorbed by glass fiber mat separators between the battery plates. This means that in normal usage, the battery cannot leak.&nbsp;Even in the event that the battery is accidentally dropped and the casing is damaged, the battery cannot leak as all the acid is locked in the glass&nbsp;fiber mat separators. This type of battery may be shipped by airfreight. 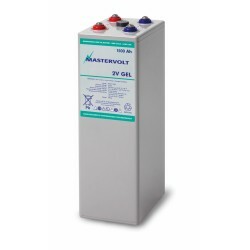 Very long life span :&nbsp;Vetus AGM batteries are genuine multi purpose marine batteries. They are suitable for cyclic deep discharge operation when&nbsp;used in the main bank to power lighting, pumps, domestic appliances etc. But the high cold cranking amp rating also makes&nbsp;them excellent for engine starting or powering bow thrusters, anchor windlasses and other high current consumers. The SMF (Sealed Maintenance Free) marine battery series. A sealed VRLA maintenance free battery which never needs to be refilled. The lids&nbsp;on this series of batteries internally re-circulate any gas that occurs during use or charging. The battery construction is based on the use of leadcalcium&nbsp;plates , which yet further reduce the water usage. Some models are equipped with a &ldquo;magic&rdquo; eye which indicates the state of charge. Tailored protection for both the battery and the boat. These new VETUS battery boxes are specifically designed for the VETUS battery range&nbsp;(up to 115 Ah). Thanks to the correct dimensions and strong mounting straps, your battery&nbsp;will be held securely even in rough waters, thus preventing both the battery and the boat&nbsp;from being damaged. 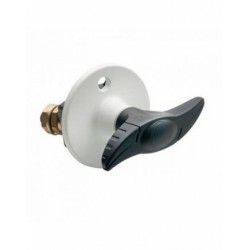 The lid reduces the risk of short circuits due to external objects and&nbsp;is equipped with cable entries. The boxes are made from impact resistant plastic and are&nbsp;impervious to UV, salt, oil, petrol, and acid. The BATBOX in brief: Available in three sizes - BATBOXS, BATBOXM and BATBOXL Lid with integrated cable entry Resistant to UV, salt, oil, petrol, acid, and impact Supplied with mounting straps Vetus battery boxes for Vetus batteries of 55 Ah, 70 Ah, 70 Ah and 108 Ah. 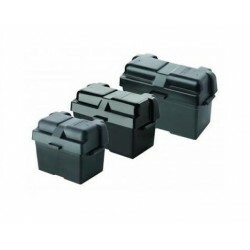 Vetus can make&nbsp;polypropylene battery boxes for all Vetus batteries. Easy entry into Lithium Ion technology. 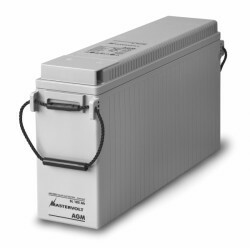 Drop-in replacement for lead-acid batteries. Saves up to 70 % in space and weight. Three times the lifespan of traditional batteries (2000 cycles). High cycle efficiency. Fast charging up to one hour. High discharge rate up to 1C. Integrated Battery Management System (BMS) with passive balancing. Integrated automatic safety disconnect. 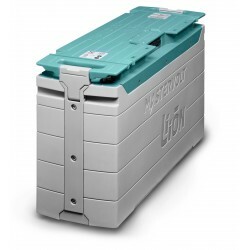 Safest Lithium Ion chemistry available (LiFePO4). Tested and certified according to UN38.3. Two year warranty. Ideal universal battery; also for starter functions. Compressed AGM technology. Saves up to 15% in volume. Saves up to 15% in weight. Miniscule footprint; 2 x 200 Ah for a 200 Ah battery footprint. Two-year warranty. 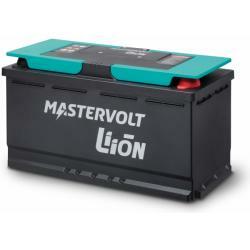 The Mastervolt MLI-E Lithium Ion battery closes the gap between the very compact MLS battery and the successful high capacity MLI Ultra series. The MLI-E is ideal for applications where long lifespan, lightweight, fast charging and compactness are key. Its practical form factor makes the MLI-E perfectly suitable for mobile applications. Lithium Ion has many advantages over lead-acid. The MLI-E saves up to 70 % in space and weight, recharges in less than an hour, and deep cycles 5.000 times easily, which is up to 10 times longer than lead-acid batteries. The MLI-E can replace a 180-200 Ah lead-acid battery. Also, for the MLI-E the extremely safe Lithium Ion (LiFePO4) chemistry is used. No external safety relay is needed. The MLI-E is protected against overcharging, deep discharging and overheating and comes with an integrated electronic safety switch. With its waterproof plastic case, the MLI-E is a straight-forward replacement for most lead-acid batteries. LED indicators inform you about the actual status of your battery. Of course, the MLI-E is provided with integrated battery monitoring, including information about state of charge and time remaining. For optimal integration in both mobile and maritime power systems, both NMEA2000 / CZone and CANopen protocols are supported. Needless to say, the MLI-E fits perfectly into a MasterBus system, when combined with our system monitor EasyView 5*. And last but not least: hands-on monitoring is available, using Bluetooth and a mobile app. 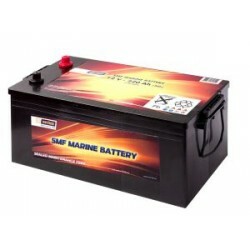 Marine battery is an important component of any boat. Dual purpose marine battery not only starts the engine it can also power anchor windlasses, bow thrusters and other high current consuming equipment on board. Deep discharge can power low power consuming devices on the boat such as lights, pumps & domestic appliances for longer period of time. Choose from our range of AGM deep cycle marine batteries that last up to 20 hours or maintenance free VRLA batteries which never needs to be refilled. 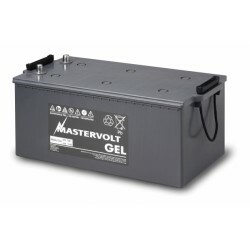 Buy marine battery for large vessel or for electric outboard motor / trolling motor, we have wide range of best marine batteries from Mastervolt & Vetus.